This power adapter will make your head spin with the e30 Spinnaker power adapter. This speaker set up uses a 20V DC power adapter, which will keep the party going all night. The e30 Spinnaker is an award winning designed 2.0 bookshelf speaker system from Edifier. Reimagining what speakers can be this unique design stands 15 inches tall. It was the winner of the Consumer Electronics Show Innovations Design and Engineering Award in 2012. The Spinnaker satellites have a ¾ inch silk-domed front facing tweeter and a 2¾-inch midrange driver that delivers excellent sound. At the base of the speaker, there is a 4-inch downward firing subwoofer that produces an authentic reproduction of sound ranging from crispy clear highs and mids, while creating deep feeling lows. The e30 Spinnaker is built with digital signal processing technology incorporating 6 separate channel digital crossover. The results of this technology surmounts to superb sound with full details. The Spinnaker comes in two different colours black and burgundy. The remote that comes with this bookshelf speaker is wireless and connects to the speakers through Bluetooth technology. The control lets you operate the Spinnaker by adjusting the volume, playing and pausing the music from the Spinnaker speakers. There is a red halo that illuminates from the bottom of the controller. When the batteries are running low on the controller, charge the remote through a micro USB cable. You can stream your music wirelessly from your phone, laptop, and other Bluetooth enabled devices. The Spinnaker uses optical and coaxial cables for sending a high quality audio signal from your audio playback devices to Edifier’s speaker systems. Also connect through a 3.5 auxiliary input as well. The Prisma Encore is as powerful and bold as it looks. Performance and sound is not a concern with the Prisma Encore. The subwoofer is carefully designed with a beautiful UV gloss finish and is accompanied by just as stylish satellite speakers. The subwoofer has a 5-inch downward-firing driver that delivers compelling bass which resonates with the surface below. Each of the satellites houses a 3-inch midrange unit and ¾-inch silk-domed tweeter. When placed all together, this creates a balanced and vivid sound design, which constructs a fantastic listening experience. The Prisma Encore utilizes the most advanced technology in audio equipment. Adopting technology from professional amplifier systems such as, digital signal processing (DSP) and dynamic range control (DRC), the Prisma Encore’s audio output offers minimal distortion at maximum volume. The Prisma Encore comes with multiple different input sources for playing audio. Use the 3.5mm auxiliary input for connecting all types of devices that play audio. 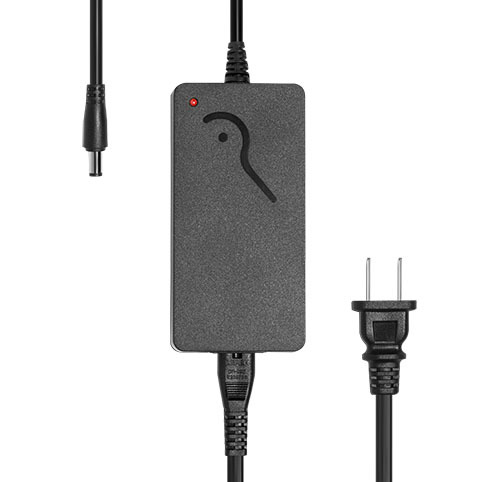 With the 3.5mm you can connect your laptop, computer, phone and any other device that uses 3.5mm. The Prisma Encore also uses Bluetooth pairing technology that enables you to easily stream music from your audio source to the speakers. Simply sync your Bluetooth enabled device and start playing music wirelessly. The e3360 Prisma Encore comes with a wireless remote that has a bold three-sided design. The remote allows you to control the power, volume and input selection for Bluetooth anywhere you go. Along with the wireless remote, the Prisma Encore has controls on the subwoofer that are accessed through touch. With a swipe of your finger adjust the volume and enable Bluetooth with a simple touch.